Less than a month after Modern Family creator Christopher Lloyd told reporters that Season 5 of the comedy series could see Mitchell and Cam wed following the Supreme Court's Defense of Marriage Act (DOMA) and Prop 8 decision, Jesse Tyler Ferguson beat his character to the punch. 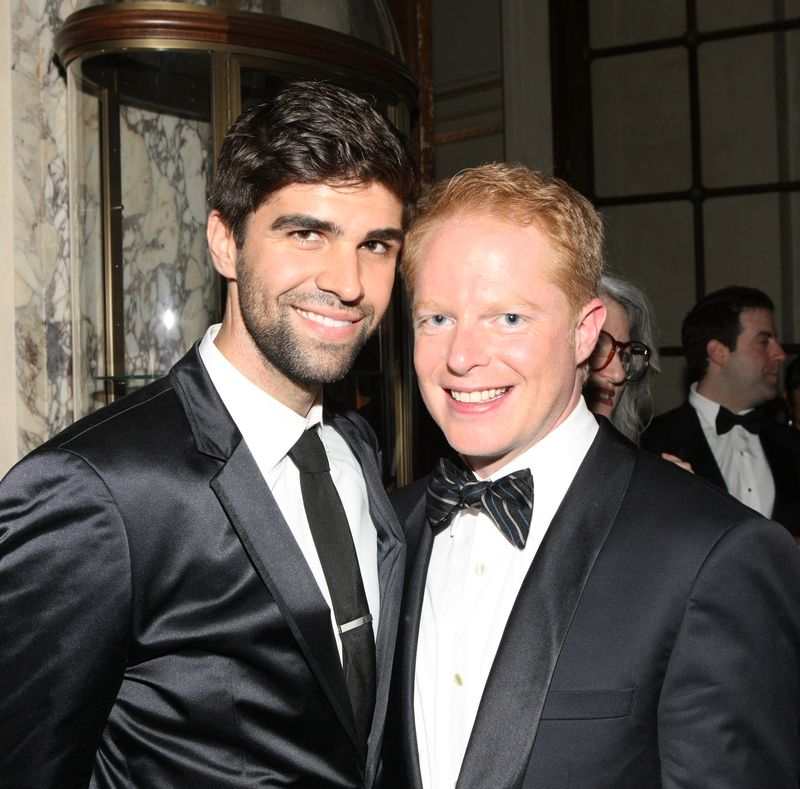 Ferguson, who plays finicky lawyer Mitchell on the hit ABC series, wed his partner of two years, lawyer Justin Mikita. The couple tied the knot in New York City Saturday, in front of friends, family, and, of course, his Modern Family. Julie Bowen, Ty Burrell, and on-screen partner Eric Stonestreet were in attendance, as were other high-profile stars, like Zachary Quinto, Isaac Mizrahi, Jerry O'Connell, and So You Think You Can Dance's Nigel Lythgoe, Cat Deely, and Mary Murphy. (Ferguson has appeared as a guest judge on the Fox dance series.) Tony Kushner, famed playwright, officiated the ceremony. No wonder sources say "there was a lot of laughter." Only one question remains: Will Mitchell follow in Ferguson's footsteps?